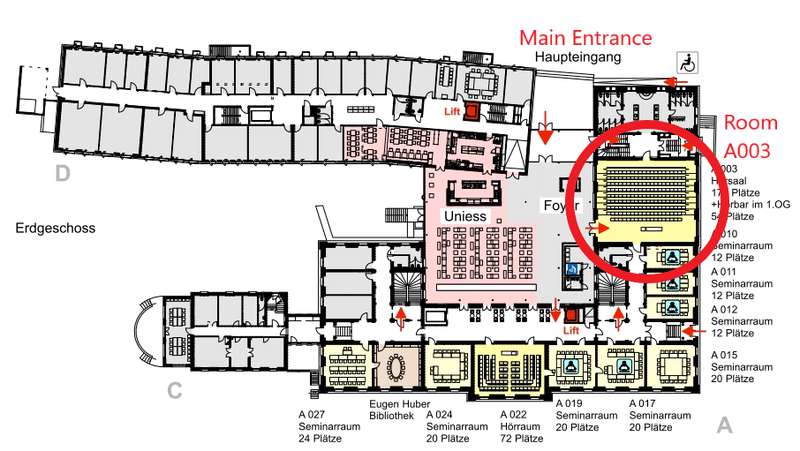 The conference will take place at facilities of the University of Bern. All relevant locations are within walking distance from the train station. 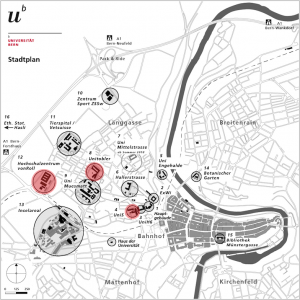 You can find the maps showing the locations and public transport below and in your program booklet. The university will provide rooms and facilities. 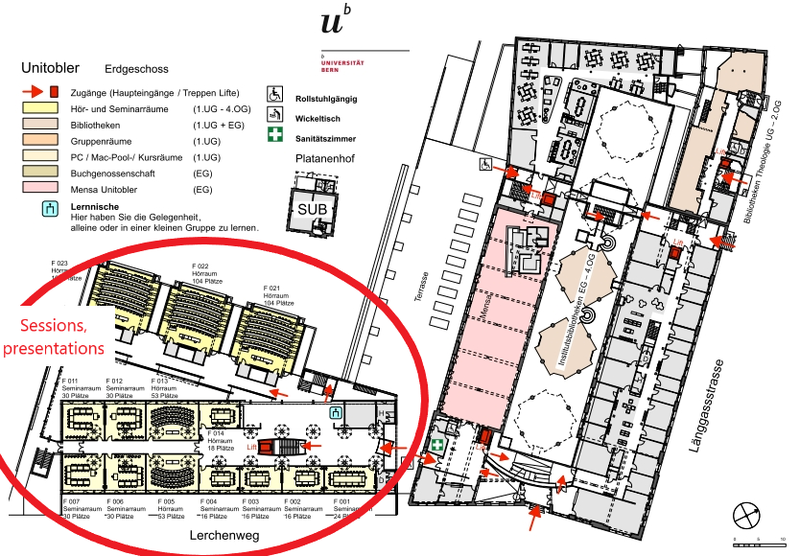 The conference takes place at three different university sites, all of them being located in the Länggasse quarter – in walking distance to each other and to the main railway station (Bahnhof). 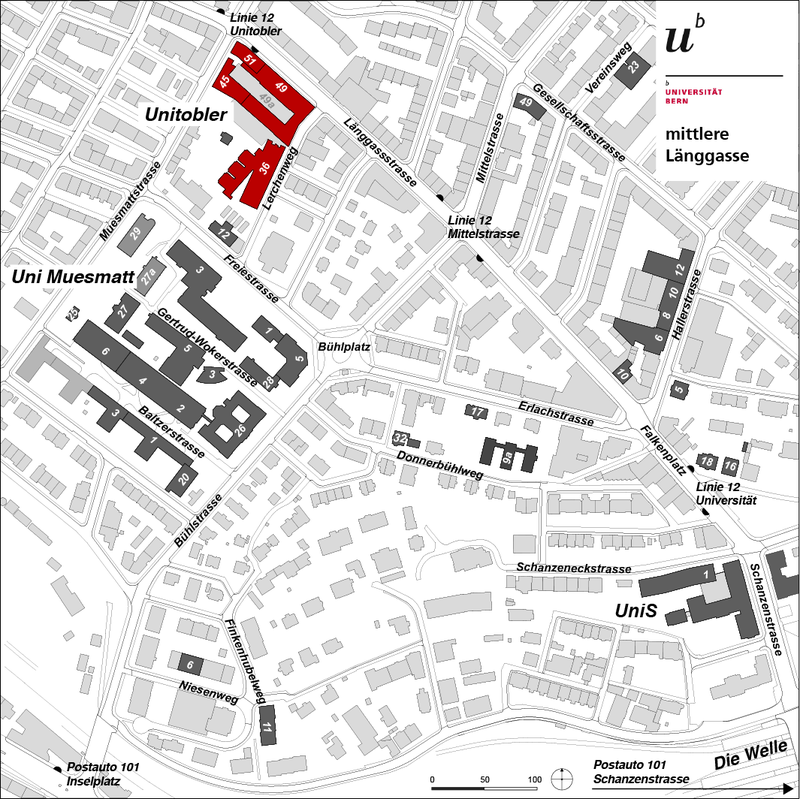 Map of university sites in the Länggasse quarter, the relevant ones in red. Click to enlarge. 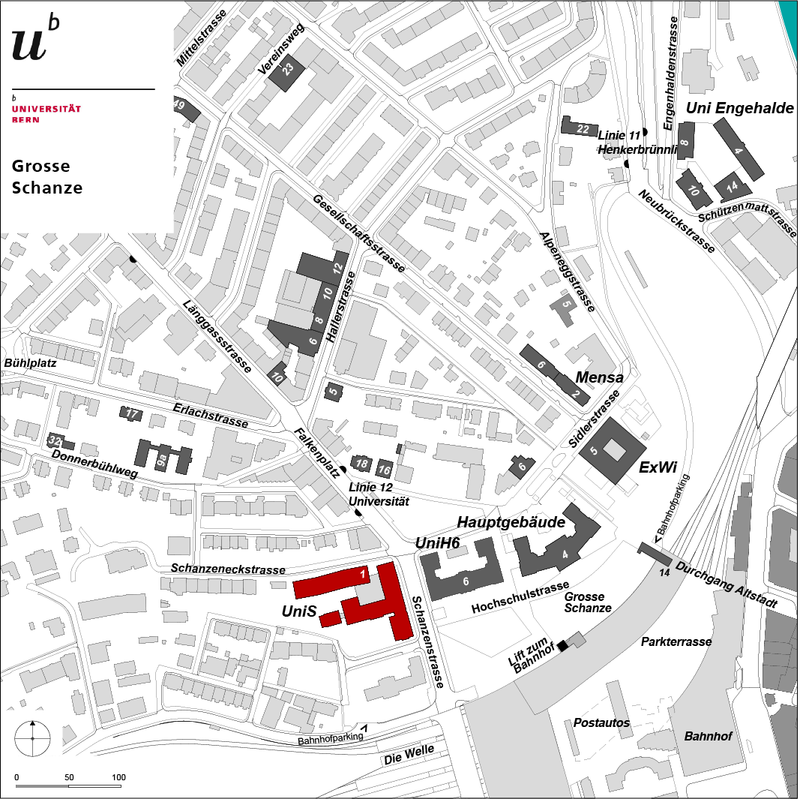 There are two bus lines (Bernmobil bus 12 heading for Länggasse; and Postbus 101 heading for Schlossmatt) connecting the railway station and the university sites. 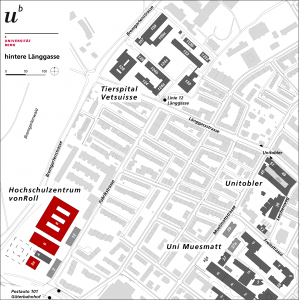 The Länggasse quarter. Zoom in to see the bus stations. 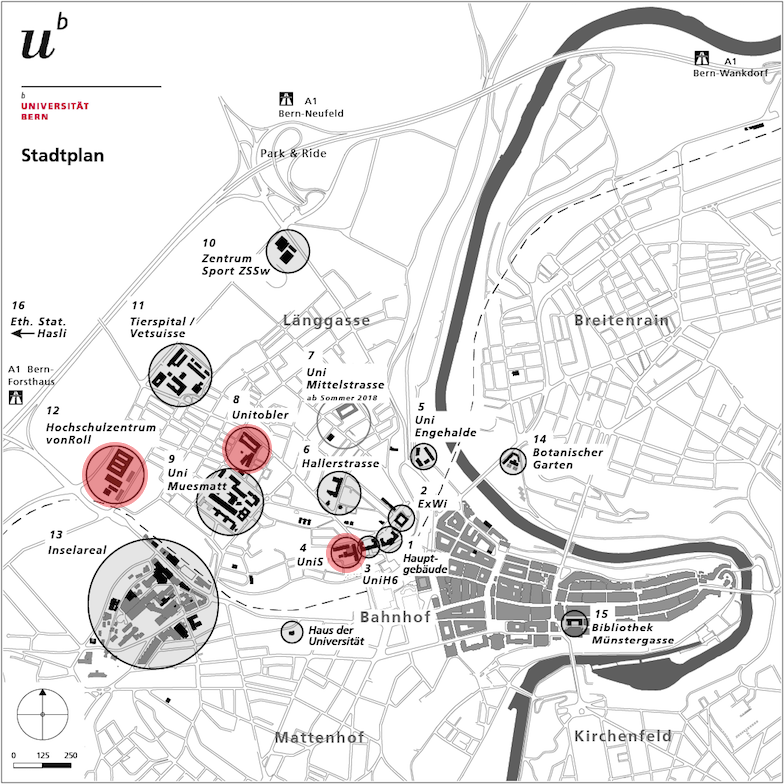 For a map with all bus lines in Bern, click here. For over 130 years, vonRoll was an industral site housing a bridge building workshop, an engineering work and eventually the ironworks of the international Von Roll company. 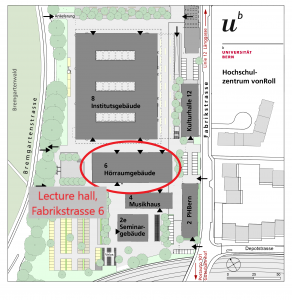 In the 1990s, the production facility on Fabrikstrasse had to close its doors after the company was restructured. 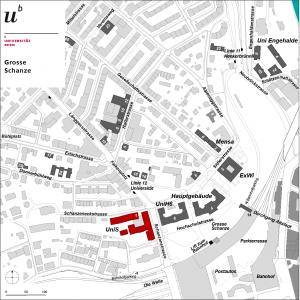 The Canton of Bern acquired part of the area to build facilities for the university and the Pädagogische Hochschule Bern. VonRoll is part of the university since the early 2010s. The vonRoll area. Click to enlarge. 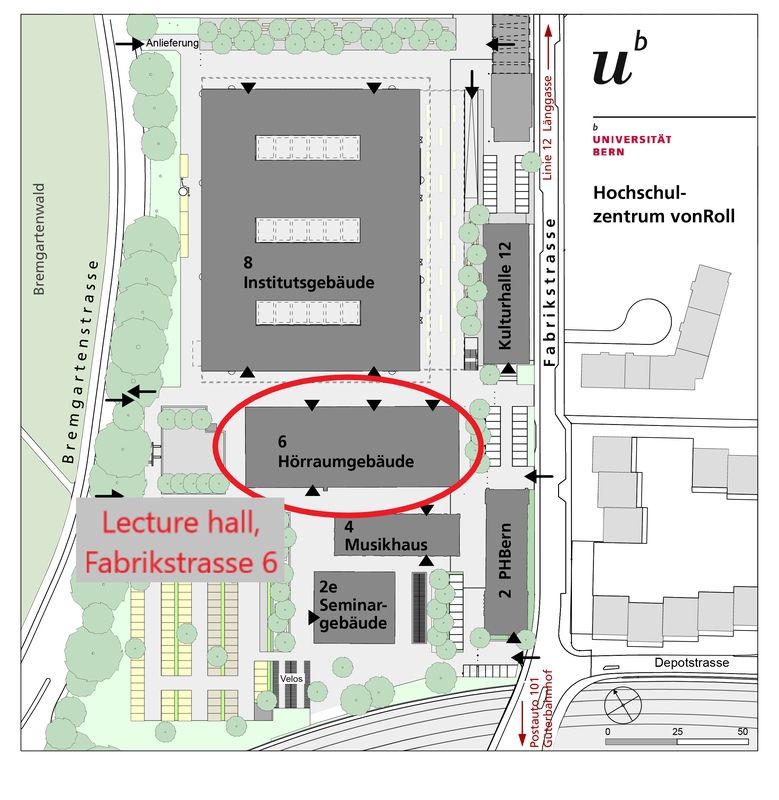 The lecture hall 001 on Fabrikstrasse 6. Click to enlarge. Public transport: Bernmobil bus line 12 heading for Länggasse: “Länggasse” stop; or PostBus 101 heading for Schlossmatt: “Güterbahnhof” stop. When the city of Bern was awarded the Wakker Prize in 1997 for the conversion of industrial buildings, the Unitobler was a showcase example. 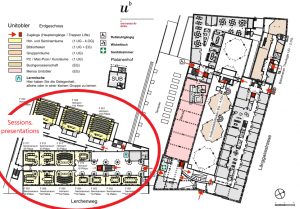 The former factory of the Chocolat Tobler AG is now the Center of Humanities. Unitobler on Lerchenweg 36. Click to enlarge. The lecture rooms at Unitobler. Click to enlarge. Public transport: Bernmobil bus line 12 heading for Länggasse; “Mittelstrasse” and “Unitobler” stops. 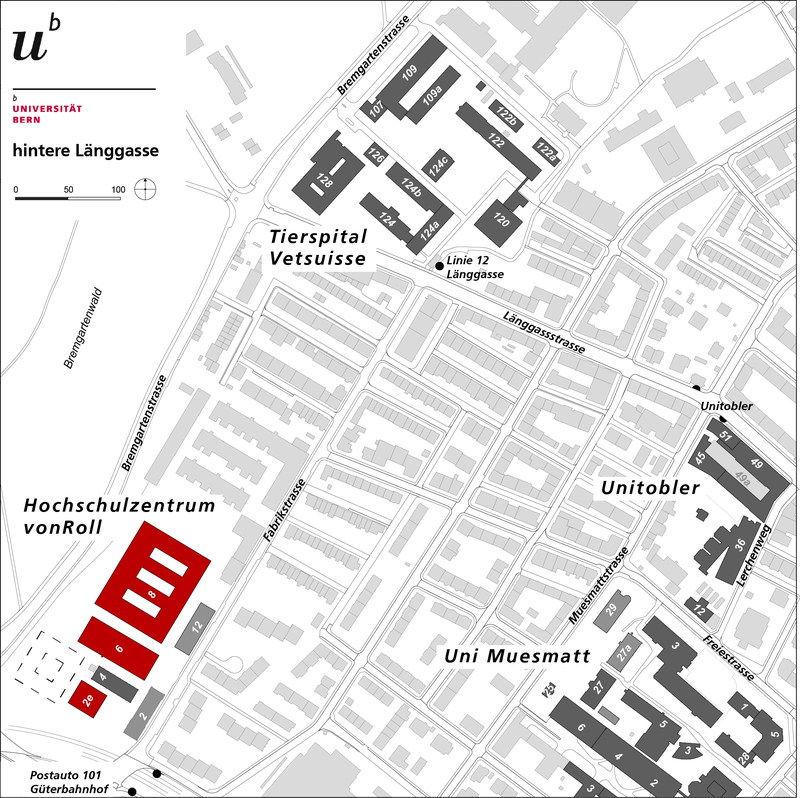 The UniS on Schanzeneckstrasse 1 is a former maternity hospital that became a university property in 2006. It optimally meets the requirements of a faculty building for law, business, economics and social sciences. 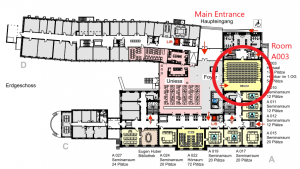 The UniS benefits from the high locational convenience close to the railway station. 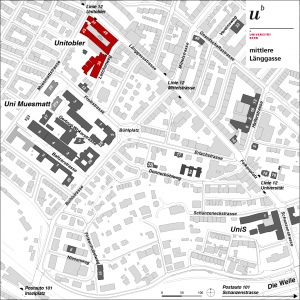 UniS on Schanzeneckstrasse 1. Click to enlarge. The lecture hall A003 at UniS. Click to enlarge.